All About the Kiddos! Parenting & Monkeys! Family is the most important thing in the world to the greater part of the population, right? But finding time in this day in age to enjoy with the family is a lot easier said than done. Of course we would all like to be able to set aside a specific date night with the family, to laugh, to play, to simply be with each other. Although some are more successful than others a good majority of us could use some pointers. Thankfully Winning Moves has plenty of ways to add that needed family night idea to the table! Remember board games?!?!! That’s right board games!!! Nope, not with T.V. and no there is not controller; unless of course you are considering yourself for that role (lol)! Winningmoves.com is a great place to get fun games for the whole family to enjoy, and since they are board games, there is no need to schedule a time, call for a reservation, and load up in the car…NOPE! Pop some popcorn and let the good times roll with these family fun games that will create lasting memories and can even become family favorite to pass down from generation to generation. Did you know that game nights have amazing benefits for your family members? For example every time a child rolls a dice it builds their coordination and motor skills, which can later help them in writing, sports, learning instruments, and many other important areas of skill. Family game night can also help improve grades, and let’s be real who doesn’t love that?!! In areas like math, reading, number recognition, spelling, and general knowledge, game nights can be very beneficial to a child’s mind! The best part they are having so much fun playing, they are oblivious to the fact that they are learning and that makes it even better! Reasoning and deduction skills are built and improved during a good family game night, teaching children and even adults knew ways to strategize their next move, predict another players move, think outside the box and break down problems gather solutions and apply them step by step. Teaching a child to share or take turns? What better way to teach your youngster these very important lessons than through a game?! How about learning to work together? Working as a team is a life lesson that all children will eventually have to learn to succeed. Games that require you to team up can show them “two minds are better than one” most of the timeJ. And who doesn’t love it when you have someone to celebrate a good victory with? LOL. It’s a busy life, and with that being the reality of things having the time to sit down and really enjoy what we parents are working so hard for is something that most don’t find the chance to say they have. So sit aside a game night once a week and play with your family! Build those memories that will last a lifetime, share in laughter and play time with those babies that you are working so hard for! Teach them that your are there to be more than a provider of basic needs but to have a real relationship with as well. 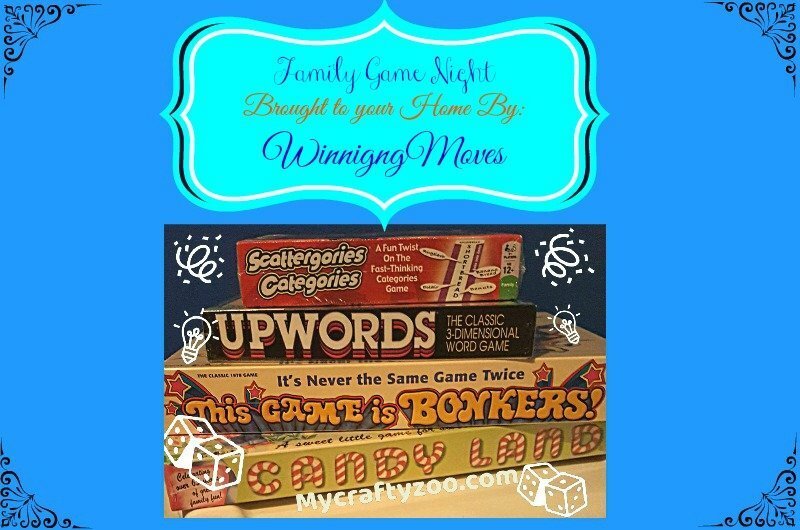 Family Game Nights open the door to an exciting way to communicate with each other. It give everyone in the family something to look forward to at the end of a long week, heck even midweek would be a good time to re-group and remind everyone that you are in this as a team!! Remember: One never outgrows children’s products (except maybe diapers) so play those games! Check out the giveaway in our 2016 Epic Holiday Gift Guide Spectacular!